Bagpipe Tunes Samples- A Partial List of 100’s of Tunes. Scotland the Brave – One of the most famous military tunes played on the Great Highland Bagpipe. A great way to start off any event! Wearin’_of_the_Green – Certainly a favorite for St. Patrick’s Day celebrations as well as any Irish theme event. Scottish Pipes & Drums offers a variety of Irish melodies for your special event! Ode to Joy – A timeless classic that “rings out” on the Pipes. Great for the Bridal processional! Grandfather Clock – This melody brings back generations past and is a great tune for Grandparents and Great Grandparents! Skye Boat Song – This Waltz tempo melody captures the soul of the Highlands. Known also as “Over the Sea to Skye” reflects on the regular Ferry service between the Isle of Skye and the Scotland Mainland. Pipe Master George MacGillivary – This upbeat Hornpipe is a nice tune to tap your feet and clap your hands to. Often listeners find themselves dancing along with the band! Going Home – A classic song that reminds of the past and where we started. Memorials and graveside ceremonies find this and “Amazing Grace” as good selections for solemn occasions. Irish Jig – This lively and popular tune gets even the most timid audience up on their feet dancing! These Bagpiper Tunes Samples are just a small portion of available tunes for your special event. Scottish Pipes & Drums has an extensive digital library and would be pleased to email files for your listening. Appointments for specific requests are also available. 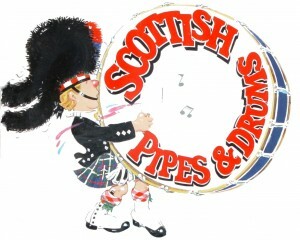 Scottish Pipes & Drums is a Scottish bagpipe band for hire, based in Woodland Hills, California. We perform regularly in the Southern California region and Ventura and Santa Barbara. We have performed for the music and movie industry as well as television, including appearances on Jay Leno, Lassie, Home Improvement and musical presences for Honda, Rod Stewart, How To Tame a Dragon and many others.Most importantly, our group has been blessed to be part of many hundreds of weddings over the years and we have enjoyed making new life long friends. of course the reality of pipes at funerals has also been a roll for our group. St Patrick’s Day has been a great time for the band for more than 30 years! With the launch of www.bagpipeplayers.com we have made it easy for the potential customer to come directly to our group for the highest quality of performer and at the right price. Don’t pay commissions with Gigmasters or Gigsalad. We answer the phone on the first ring! Seven days a week.